WASHINGTON/BEIJING – A group of US legislators introduced bills that would ban the sale of US chips or other components to Huawei Technologies, ZTE or other Chinese telecommunications companies that violate US sanctions or export control laws. 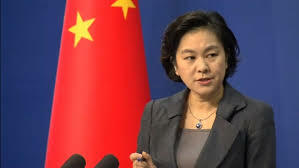 According to Reuters, the proposed law drew sharp criticism from China where Foreign Ministry spokeswoman Hua Chunying called the US legislation “hysteria”. The development has intensified an already bitter trade war between the two countries. The bills were introduced shortly before the Wall Street Journal reported federal prosecutors were investigating allegations that Huawei stole trade secrets from T-Mobile US and other US businesses. But according to a Huawei statement, the company and T-Mobile settled their disputes in 2017 following a US jury verdict that found “neither damage, unjust enrichment nor wilful and malicious conduct by Huawei in T-Mobile’s trade secret claim”. The legislation is the latest in a long list of actions taken to fight what some in the Trump administration call China’s cheating through intellectual property theft, illegal corporate subsidies and rules hampering US corporations that want to sell their goods in Asian giant. Republicans Senator Tom Cotton and Representative Mike Gallagher, along with Democrats Senator Chris Van Hollen and Representative Ruben Gallego, introduced the bills that would require the president to ban the export of US components to any Chinese telecom company that violates US export control laws.